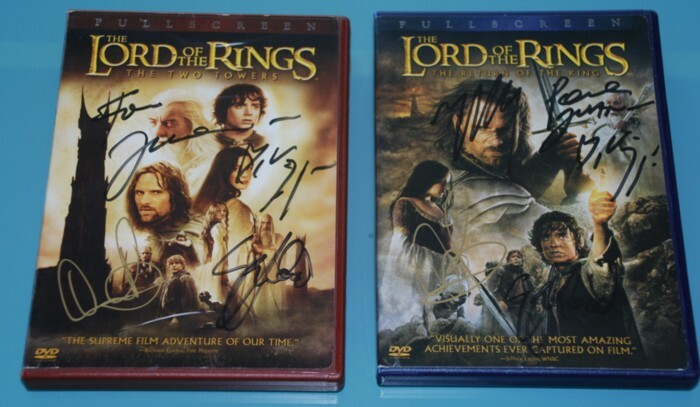 A Wonderful pair of Lord Of The Rings DVD's, with a stunning collection of 9 autographs. All these autographs were obtained in Hollywood. Elijah Wood signed these in the US, at the 'Jimmy Kimmel' live TV show, Hollywood, when his girlfriend was playing in a band. and Orlando Bloom signed when he was promoting 'Pirates of the Caribbean 2'. Note: Mark Ordesky ,the Executive Producer (signed the Return of the King DVD only). Dominic Monaghan signed the reverse sides of both DVD's. 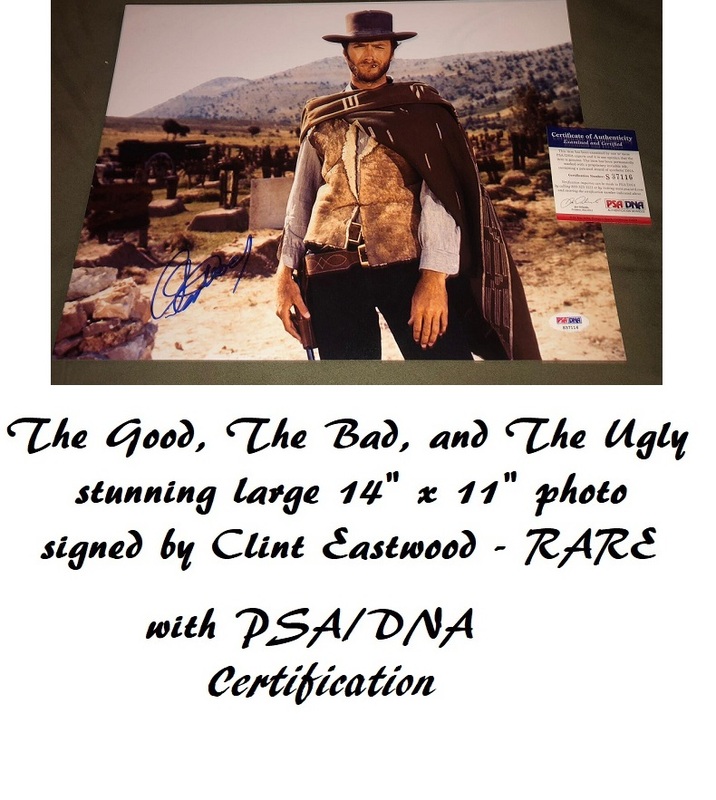 All autographs are on the insert sleeve themselves, and not the protective covering. These rare LOTR items would make a fantastic gift or, the signed sleeves could be removed put in a framed display with a poster.